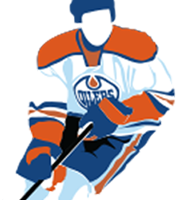 The Oilers have a huge whole in their center depth and Leon Draisaitl has a real shot at making the team this upcoming season. Before the draft I posted the last 20 3rd overall picks in the draft to get an idea of what we could expect of the Oilers pick this year and I thought it would be interesting to see how long it took those players to be NHL’rs. The table below shows the number of games played by the past 20 3rd overall picks in the first 3 years after they are drafted. This entry was posted in Draft, Rumors, Uncategorized on July 4, 2014 by jtunnicliff. This entry was posted in Draft, Uncategorized on June 12, 2014 by jtunnicliff. This entry was posted in Draft, Uncategorized on July 1, 2013 by jtunnicliff.